The other day I was speaking with a short sale seller and his agent about what I like to call showstoppers. 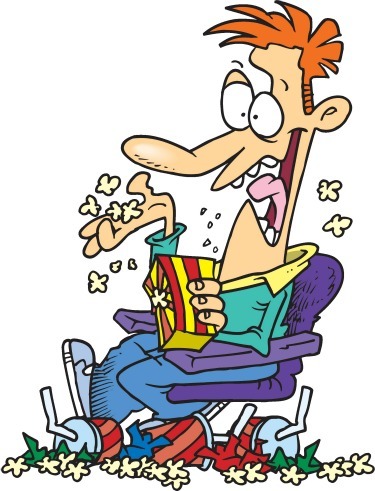 Now, in real life, many people think of a showstopper as any aspect of a show with an act or activity so impressive that the show must be delayed until the audience quiets down. But, what I mean when I say showstoppers are terms requested by the buyer or the seller as part of the short sale purchase agreement that (if the bank does not agree) may cause the deal to go south. When you receive a purchase contract for one of your short sale listings, you need to review it very carefully and attempt to call out the showstoppers. You will need to discuss those showstoppers with the seller and the buyer’s agent. 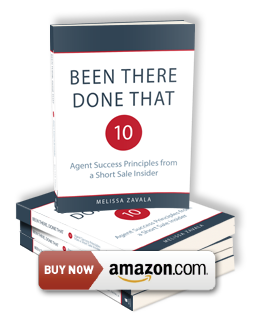 After all, you do not want to spend 6-12 weeks on short sale negotiations only to learn that the buyer will not move forward because you didn’t deal with a showstopper at the beginning of the transaction. Pest Control. Short sale lenders often approve pest control inspections, reports and repairs. However, sometimes they only approve a portion of that amount (or sometimes nothing). Home Warranty. California is big on home warranties in their purchase contracts. Most banks do not approve home warranty as part of the short sale. Buyer’s Closing Costs. It seems to be coming increasingly more common for buyers (especially those seeking FHA financing) to request closing cost concessions. This is another item that may or may not be approved by the short sale lender. Homeowner’s Association. HOA dues, transfer and document fees may be paid for by the lender. Often outstanding HOA dues may not be covered in full. So, what happens if the buyer is requesting some of these items on the short sale purchase contract? Since there is likely no way of knowing whether these items will be approved by the short sale lender until much later in the transaction, it would be ideal to clarify in an addendum or a counter offer that approval of these items by the bank is not a contingency of sale. This way, if the bank does not approve the home warranty or the buyer’s closing costs, the show can go on. And, speaking of shows, has anyone seen “The Book of Mormon”? I hear that it is an event not to be missed. 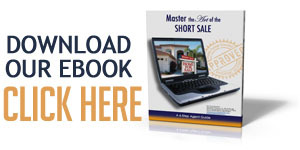 you will get all the short sale information you need plus much, much more. It’s always good to clear things up at the beginning to avoid any unnecessary accidents as no agent would want to waste 2 to 3 months in order to start over from the beginning. My kids have some friends in Book of Mormon. Everyone says it is the best. I have listened to the CD which is a riot. Can’t wait to get to NY and see it. Melissa, if such conditions are specified on an addendum or counter-offer, wouldn’t the lender – who will receive a copy of the contract – notice that, and as a result NOT pay for something they might have paid for, if not in the contract? I’m pretty sure you wouldn’t advocate doing this under the table. Or is it your experience that the lender doesn’t pay that much attention to the back pages of the contract? You bring up a great point. My experience has shown me that little attention is paid to the back pages of the contract, and you are correct: I am not advocating anything under the table. Good point. I’m having great difficulty on one of my short sales. I had spend about 5 weeks getting a Wells Fargo Short Sale approved.!….. three days before the closing seller’s attorney sends a email announcing a 6,696.25 judgment against the property… now the file needs to go back to the negotiator since seller has no money in his savings account. 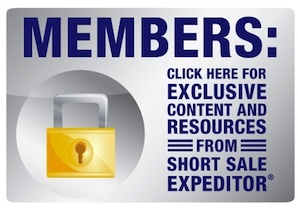 Previous Post: Short Sales and Arm’s Length Transaction Agreements: Is Facebook in the Short Sale Biz?